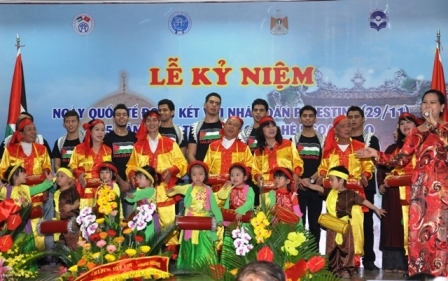 Hanoi – In celebration of the 60th anniversary of the Liberation Day in the Capital city (October 10, 1954 - 2014) and the 15th anniversary of Hanoi being recognized by UNESCO as the "City for Peace", Embassy of the State of Palestine in Hanoi actively participated in a series of activities during the “Peace and Culture Day” on 12th October 2014 at the flower garden of Ly Thai To Statue in the center of beautiful Hanoi. 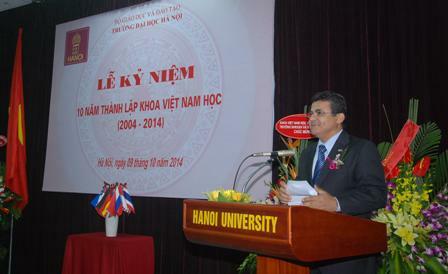 Hanoi – In the morning of 9th October 2014, Palestine Ambassador Saadi Salama attended and delivered a speech at the 10th anniversary of the establishment of the Department of Vietnamese language at Hanoi University, where he used to study in the 1980s. 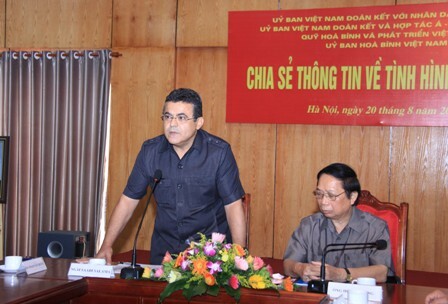 Hanoi - On August 20th 2014, The Vietnam Committee for Solidarity with Palestinian People, The Vietnam Committee for Asian-African-Latin American Solidarity and Cooperation, The Vietnam Peace and Development Foundation, The Vietnam Peace Committee and the Embassy of the State of Palestine in Vietnam co-organized a talk on the Israeli aggression against Palestinian people in Gaza. 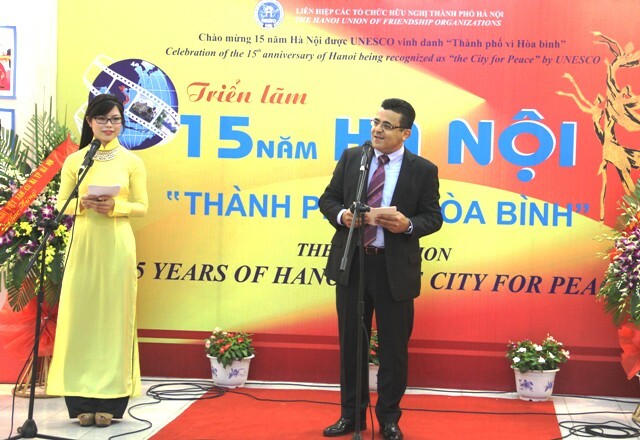 Ambassador Saadi Salama at the Exhibition "15 Years of Hanoi - The City for Peace"
Hanoi - On July 14th, Ambassador Saadi Salama attended and delivered a speech at the opening ceremony of the exhibition “15 Years of Hanoi – the City for Peace” organized by the Hanoi Union of Friendship Organizations. 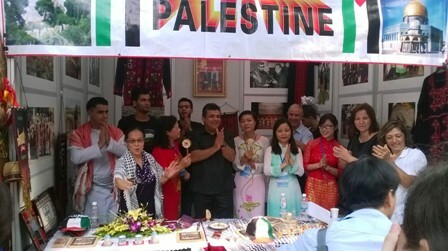 On the occasion of celebrating the International Day for Solidarity with the Palestinian People, November 29th, as well as the 25th anniversary of the establishment of Palestine – Vietnam diplomatic relations, the Embassy of the State of Palestine in Hanoi, in coordination with the Hanoi Union of Friendship Organization (HAUFO) and the National Library of Vietnam, organized a ceremony at 09:30 on Tuesday, 10th December 2013, at the Library Hall of the National Library of Vietnam, 31 Trang Thi Street, Hanoi.